I'm a voracious reader of non-fiction--mostly books on leadership, business-model development, parenting, and human behavior. Why? Because when I read stuff by people smarter than I am, it makes me smarter. One of my goals as a parent has been to help my daughters to become smarter than I am. (My wife would probably say that isn't a hard thing to become.) I started my pursuit of that goal when my girls were very young based on the knowledge that kids are like sponges. In Seeing What Others Don't: The Remarkable Ways We Gain Insights (which I just finished reading), experimental psychologist Gary Klein says that children are smarter than we realize. He tells the story of Alison Gopnik, a well-known developmental psychologist at the University of California-Berkeley, who stumbled upon the realization that children tune in to their environment at an incredibly early age. "She gave fourteen- and eighteen-month-old babies bowls of raw broccoli and Pepperidge Farms Goldfish Crackers and had them try some of each. They all liked the crackers more than the broccoli. Then Gopnik's co-researcher, Betty Repacholi, took a bit of food from each bowl and made either a disgusted face or a happy face. Half the time Repacholi made a disgusted face with the goldfish and a happy face with the broccoli, and the other half of the time it was reversed. Repacholi would then put her hand out to the baby and ask for some food. The eighteen-month-old babies would offer the type of food that she liked, even if it was the broccoli, not the goldfish that the baby liked. And in case you suspect the babies were hoarding their goldfish, if Repacholi expressed a liking for goldfish, that's what the babies generously offered. The fourteen-month-old babies, however, just got confused when Repacholi went into raptures over the broccoli, and then they offered her the goldfish." Aside from showing that Gopnik's child wasn't a Mensa, and that some children actually like broccoli (who knew), this experiment showed that children as young as eighteen-months-old can tune in to the perspective of someone else. In other words, babies and toddlers aren't as egocentric as we once thought. They can learn how to interact with their world in "smart" ways even earlier than we once thought. 1) Read, read, and read some more to your child. Reading to your child is more important than ever in a world of social media and sound bites. As children age, there is a greater risk that they will move toward less-intensive sources of information and that their reading comprehension and writing skills will suffer. Create a goal for your child to become a lover of books. As your children age, buy books for them so that by the time they're teenagers, they'll ask for books as birthday and holiday presents. 2) Read, read, and read some more on your own. 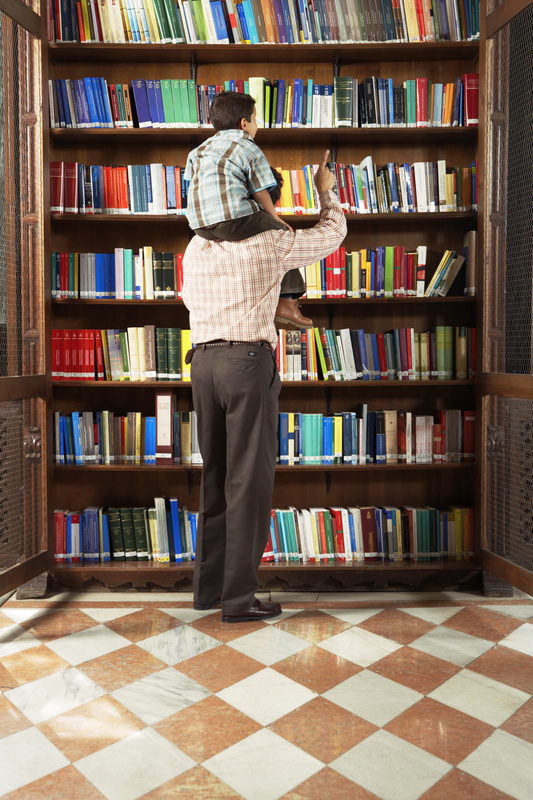 You need to read as often as you can so you can share what you learn with your child. By reading stuff written by people smarter than you, you can in turn pass what you learn on to your child. But it's not just reading for the sake of reading. It's reading for the purpose of learning and expanding your knowledge about the world and the different views people have of it. That means reading in-depth. Books are a no-brainer, but there are also good online sources of in-depth reading (e.g. online versions of magazines). One of my favorite sources of information written by people smarter than me is Farnam Street, a weekly blog written by a really smart person that encapsulates stuff written by other really smart people. It includes tons of links to stuff that appeals to a variety of interests. 3) Look for everyday opportunities to educate your child. There are countless opportunities every week to educate your child as you and your child encounter the world together. Whether you're watching a movie or television show together or are outside playing or doing a chore, look for teachable moments. 4) Encourage your child to play a competitive sport. Recognizing that every child isn't interested in or capable of playing a sport (e.g., if a child is disabled), research shows that children who play competitive sports do better academically, on average, than children who don't play such sports. One reason is that these children tend to develop good study habits because they have to practice their sport to play competitively. In other words, the habit of practicing a sport(s) can positively affect study habits. Both of my daughters have played competitive club and school soccer (and some golf, as well), and I'm convinced it's had a positive impact on their success in school because of their rigorous practice schedules. 5) Use today's technology to your child's advantage. A few weeks ago, my wife and I visited some friends who have a two-year-old son. We hadn't seen them since shortly after their son was born. I was amazed at how tech-savvy he is at such a young age. His parents (they're really smart, by the way) have loaded educational games onto a tablet that have helped him learn language and math at an amazing rate. (Many of these games are also used with children at the child care center he attends.) While the proliferation of technology and all its distractions might concern you (and rightly so), there are a number of excellent technology-based applications for even very young children that you can load onto a smart phone, tablet, or computer. Integrate fun, educational games (rather than mind-numbing idiotic and violent ones) into your child's life. You'll also help them to become tech-savvy in the process. How much are you doing to make your child smart? When was the last time you read a book that increased your knowledge?